Adam Kimmel has a cough. I’m sitting with the fashion designer and WeWork chief creative officer in Arianna Huffington’s office at a round table scattered with white porcelain dishes of lemons, chocolate, macadamia nuts, and dried fruit. We’re getting ready to discuss the cozy new headquarters for Huffington’s wellness company, Thrive, which Kimmel designed. Across the way is a plush living room set up with comfortable seats in muted green and beige tones. Here, I feel like I’m sitting at a kitchen table in a Manhattan loft. But before we begin, Huffington empties out a wicker box full of Immunitone, oregano oil, Zhong Gan Ling, and other cold-fighting supplements that she stocks up on at the advice of her herbalist. “So much of [wellness]is really building your immune system,” she says, as she opens up a bottle of pills. Kimmel takes the handful of pills readily and throws them into his mouth, taking in the full Thrive experience. 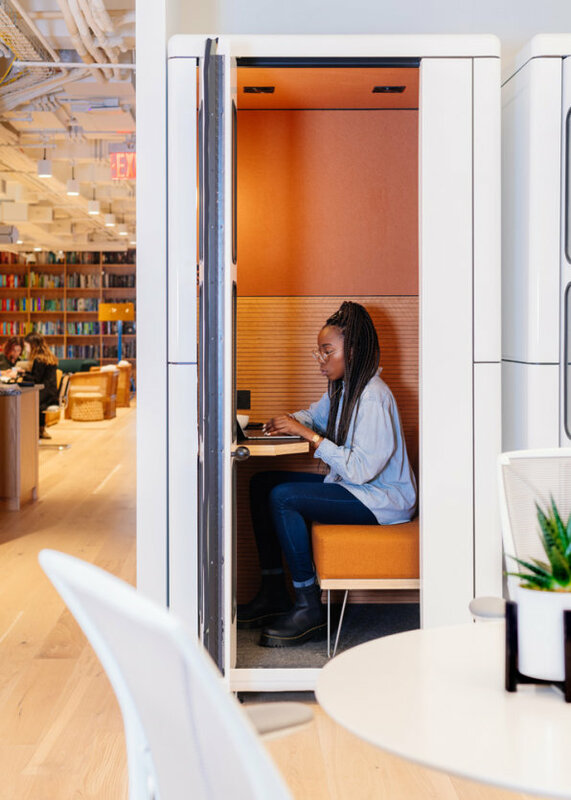 The office is the latest proving ground for HQ by WeWork, WeWork’s lightweight design, renovation, and office management service for startups. WeWork built its reputation renting coworking spaces, but has spent the past year developing a way to design office space for other companies, essentially acting like an architect or an interior designer. Why would a company choose WeWork over Gensler or Studio O+A, or any of the other excellent architecture and design firms out there? Crucially, WeWork also offers to manage office operations. 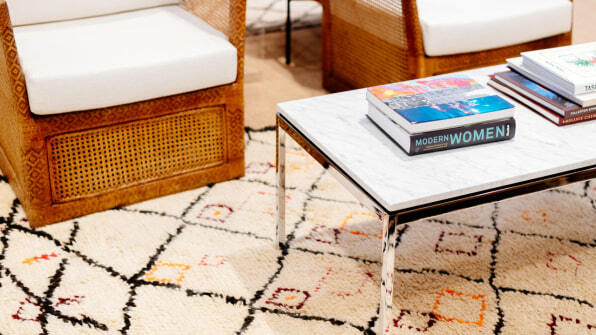 So in addition to handling the design work, WeWork will coordinate daily cleaning, trash removal, and systems maintenance; it will even make sure the toilet paper is stocked.WeWork is betting that by turning itself into a one-stop, design-and-maintenance shop, it can make good on its $47 billion valuation, allowing companies to offload the responsibility of creating and managing a physical office space. WeWork, for its part, becomes an indispensable service, particularly as a company expands and needs additional office space over time. While WeWork’s custom office offering for larger enterprises is currently its fastest growing segment, the company sees HQ by WeWork as an opportunity to prime budding startups for a future with WeWork. HQ by WeWork was first announced in August, and WeWork expects to sign 100 such projects in 2019.